Literally it means "standing tree with Buddha". Read my article about Mastercarver Enku and his Living Statues.
. Nishimura Koochoo 西村公朝 Nishimura Kocho . A carver would select a tree in a certain location and carve his statue in the living tree, sometimes using a ladder to climp high up for the head. 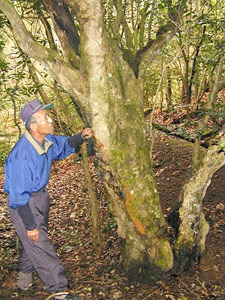 The tree was often located in a sacred forest on a sacred mountain. 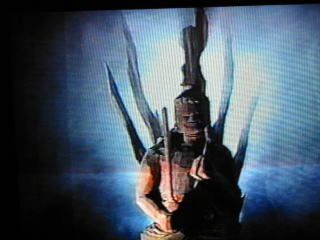 They have been carved as long ago as in the eighth century and found oftne in Eastern Japan. Here Buddhist beliefs and animistic worldviews find their combination. 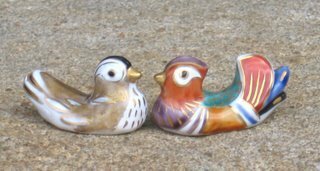 The simply carved figures were sometimes painted, but more often they are left as nature made the colors. 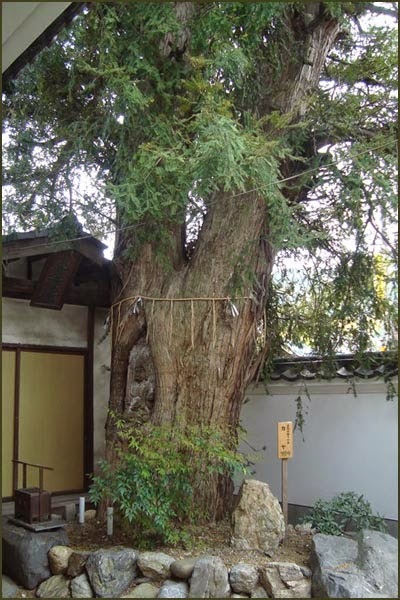 Camphor trees (kusu no ki 樟), the Japanese Judas tree (katsura 桂), firs (momi 樅) and the Japanese cedar (sugi 杉) were most often used. Senjuu Kannon 千手観音 at Temple Rinnoo-Jji 輪王寺, Tochigi prefecture. 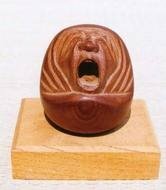 Made of a Japanese Judas tree. The statue was carved by Saint Shoodoo「勝道上人」（しょうどうしょうにん）, founder of the Chuuzen-Ji Temple in 784. It is now inside a protecting temple hall. This tree is said to help you when your teeth are acheing. The legend goes back more than 400 years. During the times before the unification in the Edo period, a lord who had lost a battle and was trying to hide away in the backwoods with a huge wound, stopped here in the village and realized death was near. He told the villagers: "When I die, I will make a strong spell, and when you burry me and plant a camellia tree on my grave here, anyone who will come to pray will be healed of toothache." Until the advent of modern medicine, the villagers took the leaves, make a brew and heal toothache.
. Kodama, the Tree Spirit . 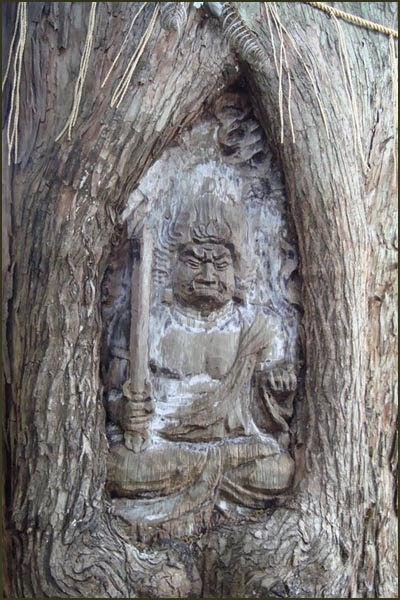 ikigi Jizo 生木地蔵 "Jizo carved in a living tree"